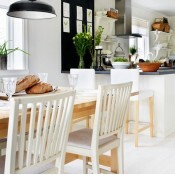 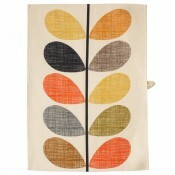 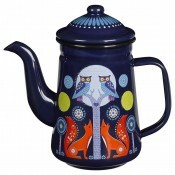 You will love our range of kitchen essentials from tea towels and kettles to teaspoons and mugs by your favourite brands Alessi, Norman Copenhagen, Orla Kiely & many more. 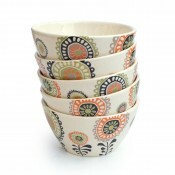 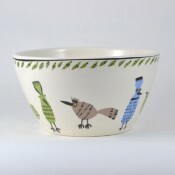 Hannah Turner Ceramics 'Hedgerow' Bowl A great addition to the Hedgerow range of tableware by Hanna..
Hannah Turner Ceramics 'Hedgerow' Tall Jug A gorgeous Tall Jug by Hannah Turner. 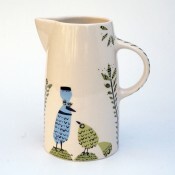 This jug features ..
Hannah Turner Ceramics 'Birdlife' Bowl A fantastic addition to the Birdlife range of tableware by H..
Hannah Turner Ceramics 'Birdlife' Tall Jug Beautiful Tall Jug by Hannah Turner Ceramics. 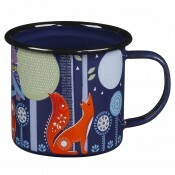 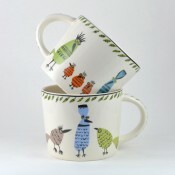 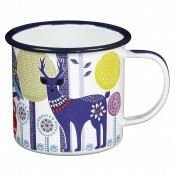 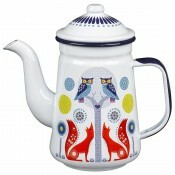 This jug f..
Hannah Turner Ceramics 'Birdlife' Mug Very cute yet stylish mug for your morning cuppa. 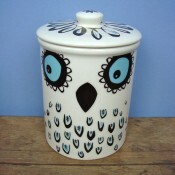 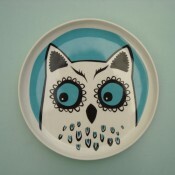 Not too big..
Hannah Turner Ceramics 'Owl' Plate This super funky Owl print plate will put a smile on anyone's fa..
Hannah Turner Ceramics 'Owl' Storage Jar The Owl Storage Jar by Hannah Turner. 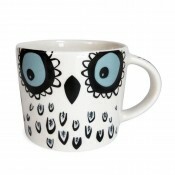 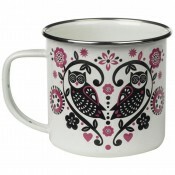 For all of your kitc..
Hannah Turner Ceramics 'Owl' Mug A very fun & stylish vessel for your morning cup of tea. 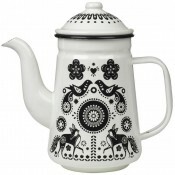 Featu..
Folklore Tea/Coffee Pot - Black & White This pretty Folklore enamel tea/coffee pot is a great a..
Folklore Enamel Mug - Day Spruce up your kitchen with this sweet Folklore Enamel mug, featuring a s..
Folklore Tea/Coffee Pot - Day This pretty Folklore enamel tea/coffee pot is a great accessory for h..
Folklore Enamel Mug - Night Spruce up your kitchen with this sweet Folklore Enamel mug, featuring a..
Folklore Tea/Coffe Pot - Night This pretty enamel tea/coffee pot by Folklore is a great accessory f..
Orla Kiely 'Multi Stem' Tea Towel Cotton tea towel in Multi Stem print. 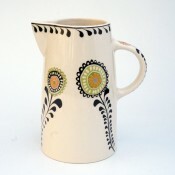 With hook to hang on outer ..